Contact 1-800-450-5319 or fill out the form for more info and a FREE quote on auto transport to Venezuela through A1 Overseas International! 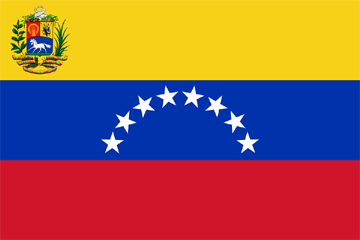 Auto transport to Venezuela can be made easier with the help of A1 Overseas International. Through their reliable services and experience in overseas auto transport, you can ease a little of the stress and worry. Simply fill out the form or give them a call for more information. Not only is it recommended that the auto transport be booked a few months in advance, but is highly suggested that the Embassy of Venezuela is contacted early on too. They will inform you of all current regulations for vehicle import to the country. It is always wise to give yourself months in advance to deal with all matters considering that preparing for transport can be quite time consuming. What Is Needed for Transport? You are a citizen of the country or have been there for at least a whole year. All of the vehicle’s documents are in your name. The vehicle has been owned by you for at least a year. The vehicle’s value doesn’t exceed $20,000. The strict requirements of the country make vehicle transport rather difficult. Nevertheless, it can be done. Make sure you look into auto transport to Venezuela before assuming that you can go through with such a large import. Contact 1-800-450-5319 or fill out the form for a FREE quote and more information!